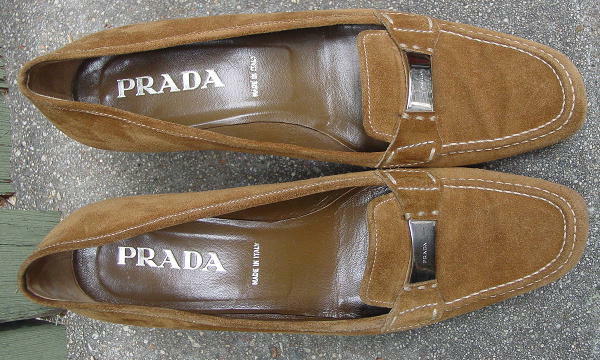 These light brown suede shoes were made in Italy by Prada. 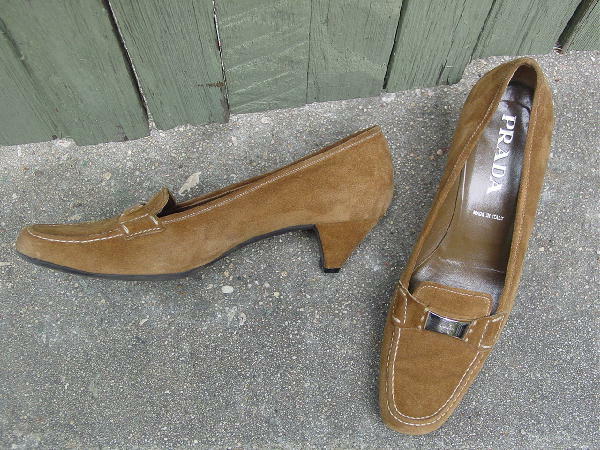 They have an elongated wide slightly angled toe and a suede vamp strap with a metal ornament in the center. Prada is etched on the ornament. They have offwhite accent stitching, and there are black rubber soles. There are darker brown leather linings and insoles. 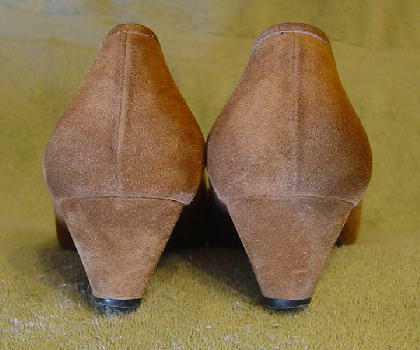 The heels are worn down more on the outer sides. The shoe backs have a little darkening. There are two line marks in the suede on the back of the right shoe.